By flipping a switch, you can use the DI20 as a launching pad for two separate mono signals, a stereo signal, or a split-signal feeding two separate amps. The DI20 also features a ground lift switch and the 3-position input attenuator can accommodate input levels of up to +48 dBu. This handy built-in attenuator allows you to connect to your amplifier’s speaker outputs, even amps rated as high as 3,000 Watts. You can power the DI20 with either a 9 V battery or your mixer’s phantom power supply (+18 to +48 V DC). The whole package is wrapped in an ultra compact, road-suitable and rugged metal housing. If you're a working musician who demands uncompromising functionality and durability, the ULTRA-DI DI20 will astound you—and so will its very affordable price tag. 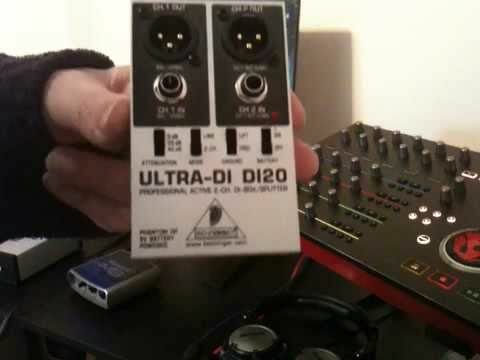 See what the DI20 can do for your sound today at your nearest BEHRINGER dealer.